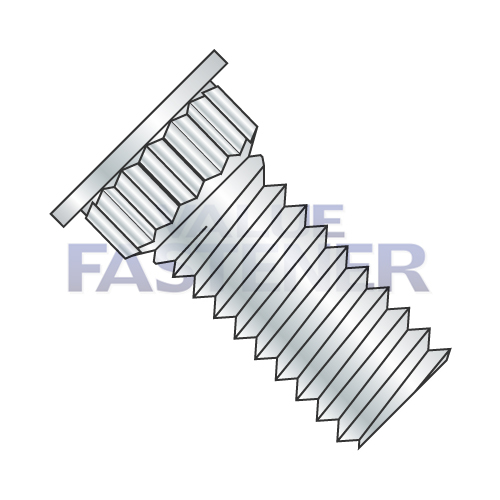 Broaching-Type Studs are an externally threaded fastener with unified thread pitch and a circular, low profile head. Directly below the head is a shoulder with a series of ribs that extend vertically from the head to above the first full form thread. The diameter of the rivved area is greater than the major diameter of the threaded shank.